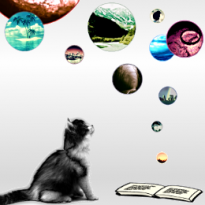 The best fiction is such which makes the reader forget it is fiction. Kate Mosse’s writing certainly belongs to this category. Mosse does a thorough research on her subject and thus manages to combine the factual and the imaginary in an exquisite way which brings her settings and characters to life in front of the reader’s eyes. Sepulchre is the second instalment of Mosse’s Languedoc Trilogy. 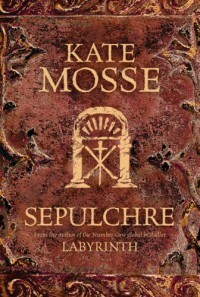 I loved how the delicate links with the first book in the series, Labyrinth, enable reading Sepulchre on its own and at the same time mysterious hints to Labyrinth bring great enjoyment when reading the books in a sequence. Cards, in particularly tarot, play an important role in the story. Mosse provides detailed descriptions and explanations concerning tarot and its reading, which I, who do not know much about cards, found a delightful read. The plot evolves in between the past and the present, the earthly and the ethereal, good and evil. There are a lot of if-s in the story, but Mosse employs little coincidences of life to add to its credibility. The characters in Sepulchre are authentic with their flaws and their strengths. Both female protagonists, Léonie and Meredith, grow throughout the book and overcome their weaknesses in order to do what is right. I was unsure how I should feel about Léonie more than halfway through the book. She starts off as a confident, inquisitive, adventurous girl who can stand up for herself and express her thoughts. However, she is also young, innocent and therefore sometimes naïve, stubborn and whimsical teenager. In the end, it is her love for her family that leads her to protect those she loves and become a good, strong woman. Meredith is taunted by her childhood memories and the fears of inheriting her mother’s weakness. As she sets off to explore her roots, she comes across an injustice which has to be unveiled for the spirits from the past to be able to rest. Through courage and will she finds both herself and the knowledge to bring peace to those from the past. Both through her protagonists and antagonists Mosse shows that the choices people make between good and evil are their own responsibility and there are no excuses in the circumstances. For this message, Sepulchre, as other Mosse’s books, has a great moral value. RECOMMENDATION: I must recommend Sepulchre to everyone who likes an incredible plot, strong characters and good writing where the past and the present are entwined with mystery and love. Originally posted on my blog, Beyond Strange New Words.